YouTube Music lets you watch and listen to a nearly endless catalog in an app designed for music discovery. Enjoy music for free with ads, or get YouTube Red. 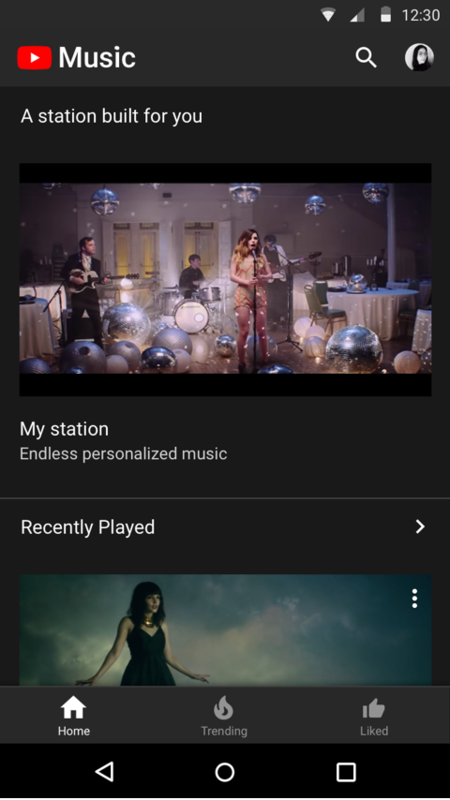 A YouTube built just for music • Every video starts a non-­stop station • Personalized stations learn your tastes &#x2... see more YouTube Music lets you watch and listen to a nearly endless catalog in an app designed for music discovery. Enjoy music for free with ads, or get YouTube Red. Get 1 month of YouTube Red for free. Existing YouTube Red or Google Play Music members and users of either service who have already received this free trial are not eligible. Monthly charges apply for YouTube Red membership outside of trial periods.